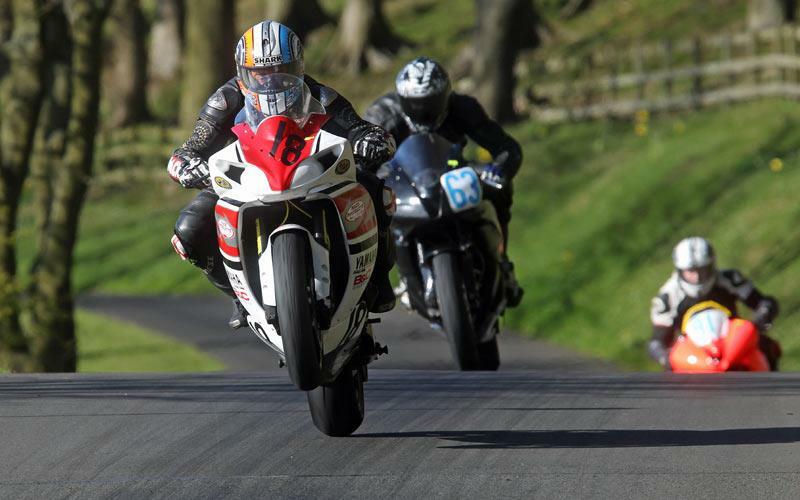 Racing has its ups and downs, and the Ian Watson Spring Cup at Oliver’s Mount certainly had that! The weather was grim at times; hail stones, driving rain and temperatures struggling to get above freezing, which even caught out the experts like Ryan Farquhar. But then the sun came out. The track, as always, was a joy to ride – It was just a shame my long-term 43,000 mile Yamaha R1 wasn’t so good. To bring you up to speed, my much loved, well documented, long-term R1 has been converted over the winter into a race bike. I actually handed over hard earned cash to Yamaha and bought the old girl as she’d been so good to me during our 40,000 plus miles together. However, her first outing didn’t go exactly to plan, and was a little rushed. In the wet it wasn’t too bad, the Dunlop wets were finding grip, the new 30mm DDS Ohlin forks gave plenty of feel and the K-Tech shock was coping with the demandingly scary race track. However, the sun came out and hands up, our set up was all wrong. Most of the top Irish road racers went for full wets so we followed. However, I managed to smoke a Dunlop wet in just eight laps as it was too dry, my lap times were over ten seconds a lap slower at the end of the race compared to the start. I had so many moments I thought about pulling in a few times! The jump taken in 5th gear was unbelievably scary. But by the skin of my teeth we qualified for the final. It was fully dry for the final but still very cold, so rather than opt for Dunlop slicks we went with Bridgestone BT010 race tyres. Grip was fine but the handling wasn’t. We’d gone way too soft, forks were bottoming out and stability was a nightmare, thumbs banging against the tanks down the back straight at 170mph is not good. I’ll be honest I scared myself more than once, and pulled her into the pits - I was worried about the pads getting knocked back it was that bad. It was my own fault, it was the first time we’d run the bike in the dry; but it’s all about learning. Race two and with a stiffer set up stability was improved, but the standard Yamaha damper couldn’t cope and was over-heating by lap three. A school boy error as I should have fitted an aftermarket one! Secondly the brakes were juddering badly, we suspect warped discs, remember they’d done over 40,000 miles, the poor things must be about done! Well that’s racing and it was only the Yamaha’s first run out, maybe I should have done some testing rather than jumping in at the deep end at one of the scariest tracks in Europe. But despite the scary moments it was fun and the bike sounded good and looked amazing thanks to Zero one and Race Products. We still qualified for the final and finished 8th in my heat which wasn’t bad. Plus my little 600 was flying, great fun to ride, we qualified 14th out of 40 plus riders - not bad on a three year old GSXR pushing only 108bhp! So it’s a day setting up the R1, new brake discs, maybe pads too and an aftermarket steering damper, then we’ll be back to have another go. 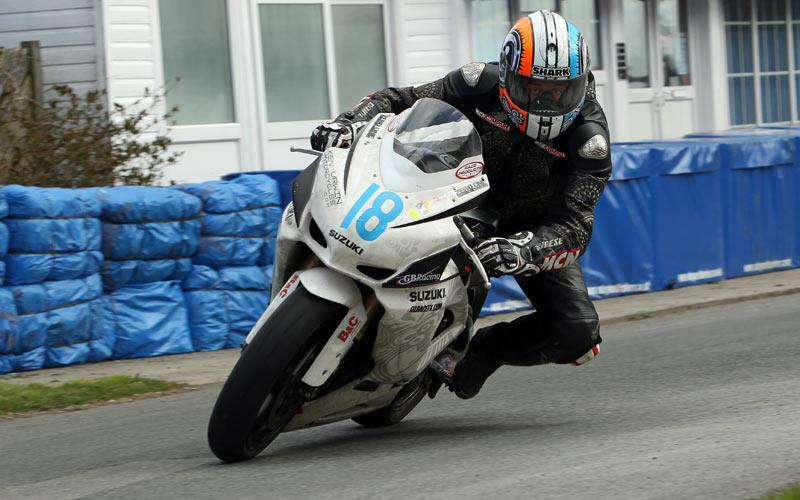 Thanks to everyone who helped out, Ken Urwin Motorcycles for transforming the road R1 into a race bike, plus Mick Gardner racing, K-Tech, Race Products and Zero One. The bikes will be good once the monkey on board sets them up right and stops the school boy errors.